These stitch markers are a fun alternative to plan old stitch markers. 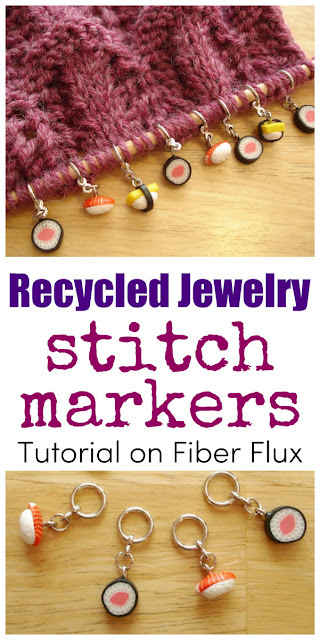 Using recycled earrings, they are a fun project to add some fun to your project or as a gift for a yarn lover. 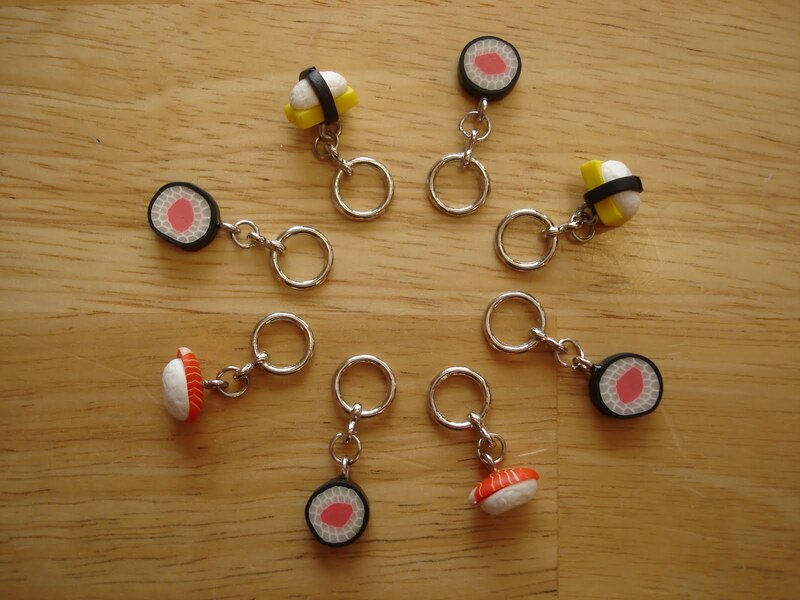 Like jewelry for your knitting! 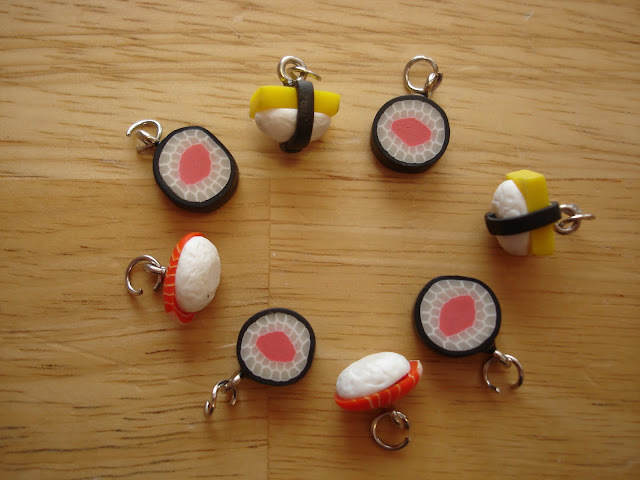 Feel free to experiment with other beads too! These instructions make 8 stitch markers. Also included are instructions for an i-cord holder to keep all of your markers together. 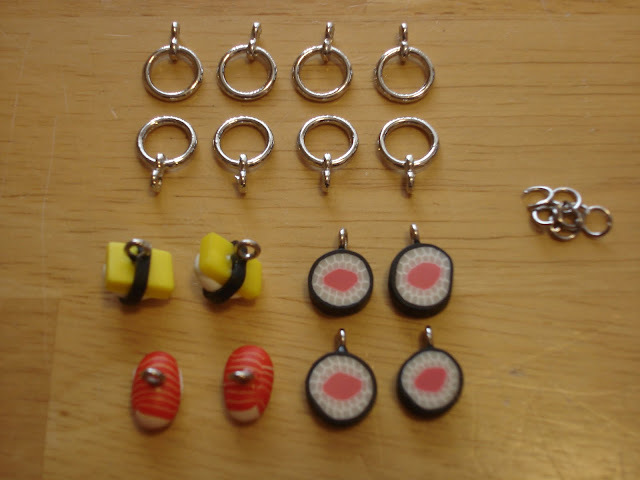 Step 1: Because these are recycled earrings, there should be head pins in each bead—this is how they attach to the jump rings. 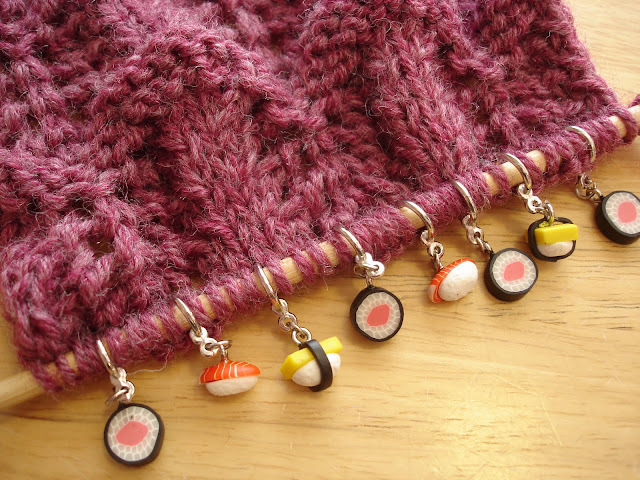 If you have loose beads, you'll need to add the head pin. Step 2: Using pliers, open each jump ring and place one bead as shown. 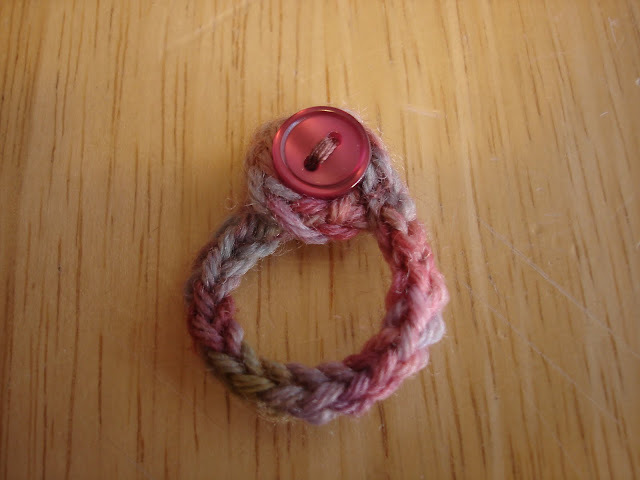 Step 3: Place one toggle ring on the jump ring along with the bead. Step 4: Carefully close the jump ring with the pliers. (Note: if this is too tricky, use two pairs of pliers to close. Step 5: Enjoy and Happy Stitching! 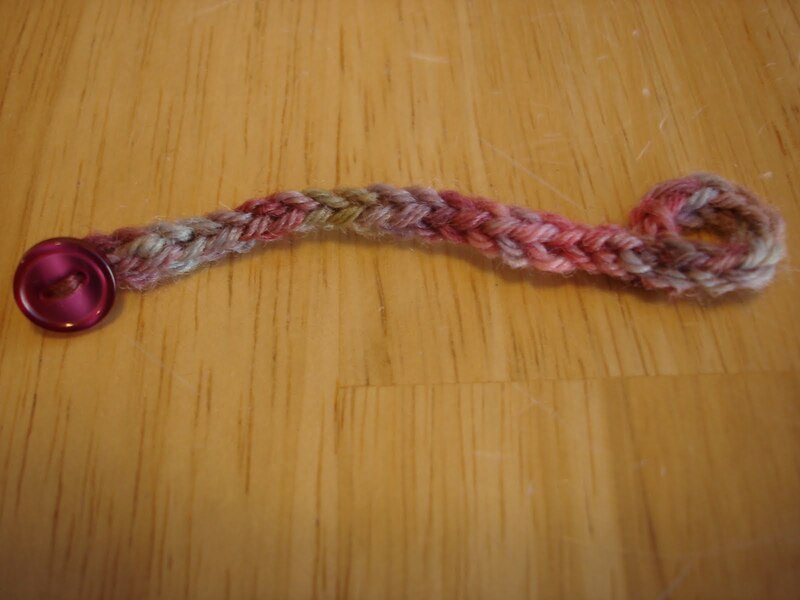 Stitch a button on one end of i-cord with needle and thread. Make a loop at the other end and tack it down with a couple of stitches using needle and thread. 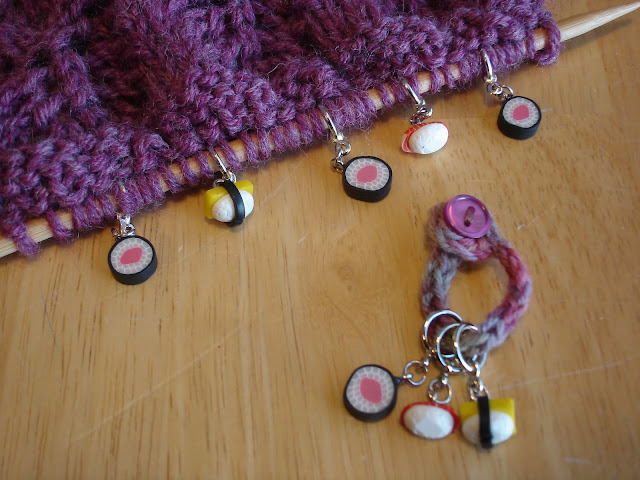 Place stitch markers on holder and button closed. Thanks! They're getting a lot more use out of them now! Thanks, they were a lot of fun to make! Hi! On ravelry you show some marjers with a flexible loop (maybe nylon cord).